I’m giving away my favorite baking sheets (that I use daily) and I wish I could send them to all of you. That’s how much I love them! 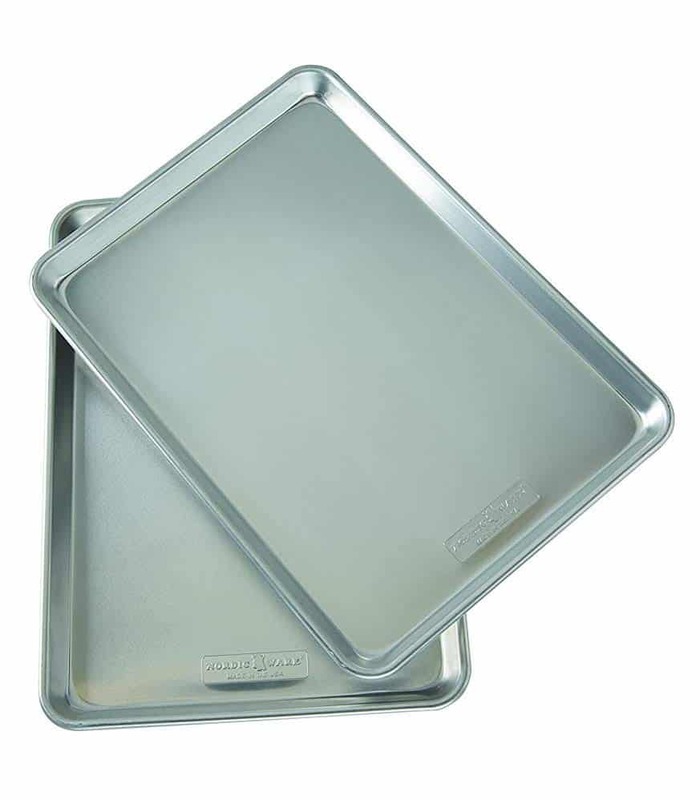 I own several of these Nordic Ware Baking Sheet 2-packs and I use them for almost everything. 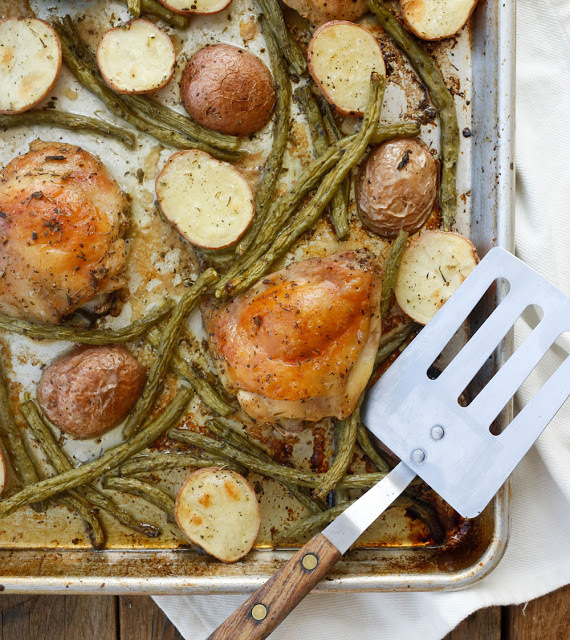 These baking sheets are invaluable for baking cookies, meal prep, roasting vegetables, and for sheet pan dinners like the one pictured here, I really do use mine every single day. See these ads all over our website? Could you possibly miss them? Every time those ads load on your screen it sends a few cents our way. Those ads make this website possible and this month, I’m sharing some of that holiday ad revenue with our readers in the form of a whole lot of giveaways. DAY 4 – Enter to win a Lodge 6 QT Enameled Cast Iron Dutch Oven. DAY 3 – Enter to win a Cuisinart Double Belgian Waffle Maker. DAY 2 – Enter to win (4) copies of Barefeet In The Kitchen’s cookbooks – (2) for you and (2) for a friend. DAY 1 – We’re going to donate $150 to the charity of the winner’s choice. To enter the giveaway, just leave a comment on this post with the name of your favorite charitable organization. To enter the Nordic Ware Baking Sheet Set Giveaway just leave a comment on this post telling me what you might use these baking sheets to do!